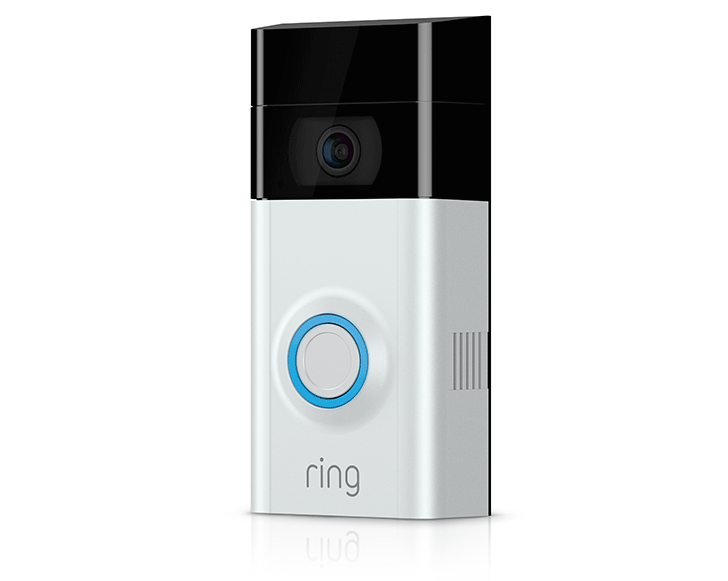 Amazon announced in late February that it was acquiring Ring, the maker of the Ring Video Doorbell and other devices. The deal was reportedly valued at $1 billion, and Amazon says it's already done. To mark this occasion, Amazon has permanently dropped the price of the Ring Video Doorbell to just $99.99. Before the acquisition, the doorbell had an MSRP of $200, but it was usually on sale for around $140. This is a good time to drop the price, too. Nest just launched the Nest Hello video doorbell, and it's priced at a whopping $229. The new Ring price makes it a very attractive alternative at less than half the price. Ring will continue to operate as an independent company, but it's backed by Amazon money now. That probably has something to do with the price drop. Amazon can afford to lose a little on doorbells to get people in the door, so to speak. Ring also makes a home security system and other security cameras. This deal is only for the first-generation version of the doorbell. The second-gen Ring doorbell is still $200. By all accounts, that one is nicer. Still, $100 isn't bad for the old version. SEATTLE & SANTA MONICA, Calif.--(BUSINESS WIRE)--Apr. 12, 2018-- (NASDAQ: AMZN)—Amazon and Ring today announced that Amazon’s acquisition of Ring is complete. The two companies will work together to accelerate Ring’s mission to reduce crime in neighborhoods with affordable, effective home security products and services, so more customers can see, hear, and speak to people on their property from anywhere. To kick start this commitment, Amazon and Ring have dropped the price of the popular Ring Video Doorbell to $99.99, making home security more accessible than ever to customers. Ring’s Video Doorbell has been effective in reducing burglaries in neighborhoods by as much as 55 percent, according to an LAPD pilot program. Now, with Amazon’s aim to deliver premium products at non-premium prices, the two companies can help make peace of mind at home a reality for more neighbors than ever before. Amazon’s relationship with Ring began in 2016 through the Alexa Fund, the company’s investment arm to support companies with cutting-edge technologies that are innovating with voice. The investment provided a strong foundation for Ring to be able to lean into new Alexa APIs and capabilities, and develop a new Alexa skill that allows customers to use voice to view camera feeds directly from Echo Show and Fire TV. Neighbors experience the power and impact of the Ring Video Doorbell every day. Ring has contributed to keeping neighborhoods and neighbors safer—from helping people with disabilities more easily see who’s at the door and respond, to helping prevent activities like package theft or home burglaries. Ring, Blink, and Amazon Cloud Cam will continue operations under their respective brands. Customers will not experience any interruption in service and can contact the appropriate company’s customer service team with any questions or issues.